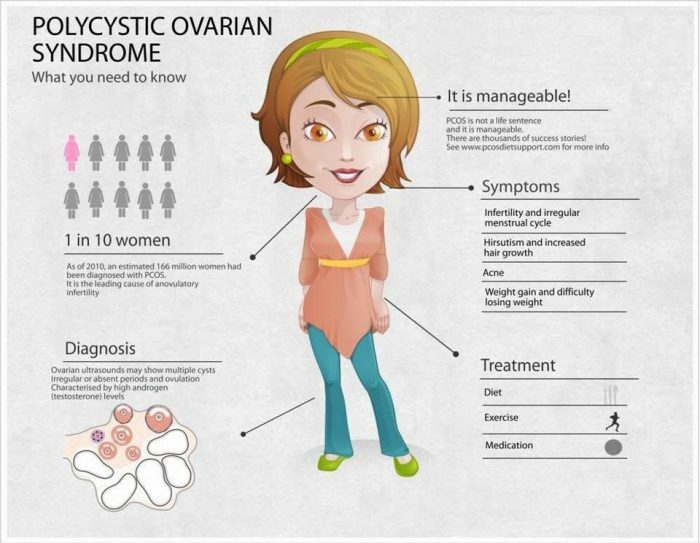 Polycystic ovary syndrome (PCOS) is a syndrome of endocrine disorders. It is characterized by rare ovulation. 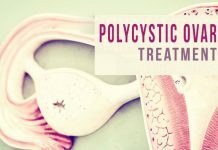 Polycystic means many cysts. Its major symptoms are including amenorrhea, chronic anovulation and infertility and acne. It is one of the major causes of female infertility. Due to persistent anovulation, severe cases will make excessive endometrial hyperplasia. It will increase the risk of endometrial cancer. Treatment options for this disease are very complex. There are different treatment methods available for different types of symptoms. It needs a long-term concern. 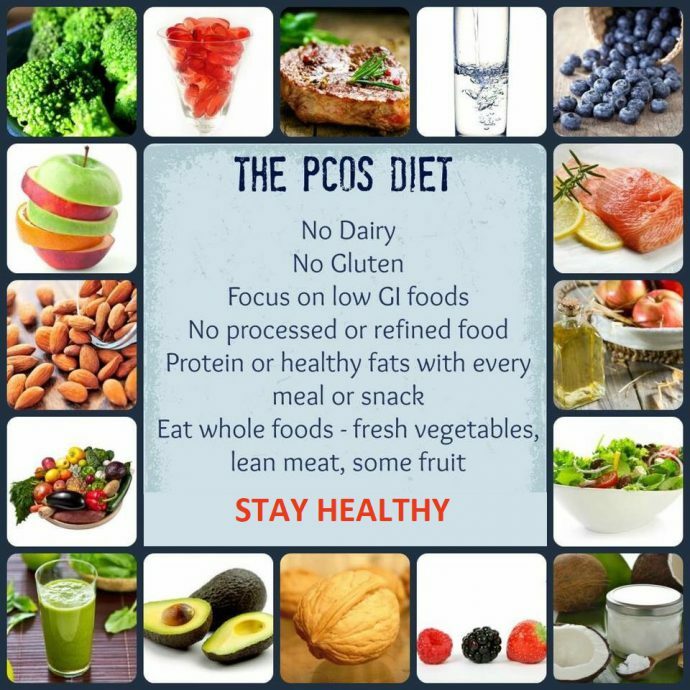 The causes of PCOS are not clear. The pathogenesis that is involved in this is very complex. Generally it is believed that genetic, metabolic and ovarian axis dysfunctions are the factors that are involved in causing it. If a doctor finds that person is facing irregular periods from a long time then it shows that person is suffering from PCOS. For a typical case doctor usually asks the whole medical history of patients. In order to treat it, ZhongBa Hospital’s gynecologist advises patients to first reduce their weight. She advises them to have some exercise on daily bases. We also treat PCOS with the help of Chinese herbal medicines. If PCOS not treated at the early stage then it can even leads to diabetes. Our doctors recommends patient to reduce their weight. 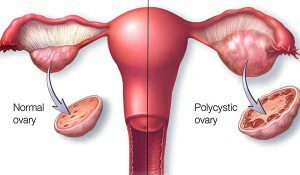 Weight becomes hurdle in treating polycystic ovary syndrome. Our medical experts also make or suggest a diet plan for patient. Food adjustments also help patients in reducing their weight. If you think that you are suffering from this condition then I suggest you to visit our hospital. Our gynecologist Dr. Guofen Liu provides its treatment. You call us or you can live chat with us to book your appointment.